The owner of The Field of Dreams Movie Site in Dyersville died on Wednesday after a battle with a rare form of liver cancer. Denise Stillman purchased the famous ball diamond and iconic farm from the Lansing family in 2011 and founded “Go the Distance Baseball.” The company’s operations manager, Roman Weinberg, says Stillman was a motivating leader who will be deeply missed. “She was a one-of-a-kind spirit and definitely an intelligent, accomplished businesswoman,” Weinberg said. “She was one of those people who could motivate to do just about anything and lift you up, no matter what mood you were in.” Go the Distance Baseball will continue to move forward, according to Weinberg, just without Stillman’s “visionary” leadership. “The Field of Dreams Movie Site will remain open and operate as normal,” Weinberg said. The company is also planning to add a youth baseball/softball tournament complex to the property called All-Star Ballpark Heaven. 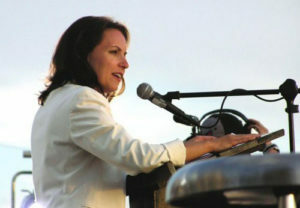 “We are looking at honoring her memory, getting these ballparks built, and fulfilling her dream,” Weinberg said. 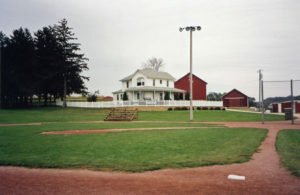 The Field of Dreams Movie Site is scheduled to host a 30th Anniversary Celebration on Father’s Day Weekend next summer.